Sometimes, life is just beautiful and unexpected. I often check in with both of my daughters in the morning before school starts. I want to know what they’re working on, and what their classes are up to. Leading up to Thanksgiving, Helena’s class was working on a play. I skimmed through it, and saw the premise of the story. It made me giggle. It was based off of the book, “A Turkey For Thanksgiving,” about a bunch of animals looking for a turkey for their Thanksgiving meal… and OF COURSE… the turkey is a guest at supper at the end of the story… not the main course. Totally not a shocker. I mean, had the story followed reality it would morbid and upsetting.. and likely the children would be traumatized. I’m personally traumatized after seeing the Butterball undercover investigations…. anyways… on with my story. So, my daughter’s teacher, stopped me one morning and asked me if had I read their play. I told him that I had looked at it. Then he goes on to tell me that they were planning a Thanksgiving meal for the classroom… I think I said something to him like… “and let me guess… you’re going to eat the turkey?…” He told me, “No.” Helena’s teacher said that he wanted the class to have a vegetarian Thanksgiving meal this year. I was completely shocked, floored, stunned… you name it! Of all of the teachers, I could not believe that he was the one who wanted to do this. 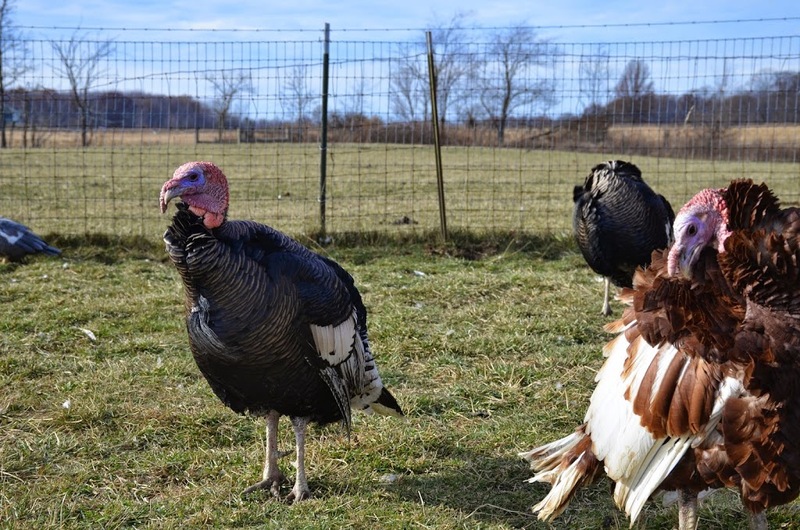 I mean, he has told me on numerous occasions how he loves to eat meat (not that I asked…), and honestly… I got the feeling that this was the first year that his class has ever spared the life of a turkey. He asked me for help, and I wanted to help however I could. He sent out emails to all of the parents to let them know about the vegetarian Thanksgiving meal, and asked parents to bring in veggie side dishes. I told him that I would bring in seitan as a main course, and we also discussed using a pre-made veggie main dish (Trader Joe’s meatless turkey roast). Before the meal, my daughter’s teacher spent the week talking to me about “Chuch Lady” and “Satan” from the 80s SNL skit. It was really amusing. It’s fun looking through someone else’s lens in terms of vegan food. After the meal, Helena’s teacher was just so nice about the whole thing. He mentioned that it was really neat to have this vegetarian meal and to give the turkey a “reprieve” just like in the play. The following day, I had to formally thank him. This whole experience meant the world to me. To think, just for one meal with that class, the world was a better place. I had to give him a hug. It’s too bad that there was salami and some gelatin, but it sounds like everything else went pretty smooth. I could never see something like that having worked out well when my stepsons were growing up. Hopefully times are changing!